If you are reading this blog right now, you are a victim of DRM. How do I know? There are simply no winners in the DRM battle. Mega-corporations around the world spend millions of dollars to develop sophisticated DRM systems in an effort to protect their works from infringement. Industries endlessly lobby for anti-circumvention laws. All of these efforts end up hurting the companies as much as they hurt the consumers. I will use Microsoft’s Operating System as a classic example of DRM failure. 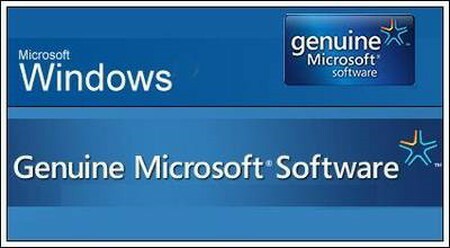 Microsoft developed one of the most complicated DRM systems called the Windows Genuine Advantage (WGA) program. The program provides technologies that help to determine whether the copy of windows passes product activation and validation as a genuine copy. It has been in use for all versions of Windows since XP. The result of Microsoft’s DRM system? A leet hacker cracked the WGA within 24 hours of its release. DRM does not prevent illegal use of software, it just makes infringement more difficult. Honestly, I doubt that the WGA developers were so naïve as to believe that no one in the world can crack the system. They just wanted to prevent those without the technical expertise to infringement upon their products. I do believe that there are very few people in the world who has the programming expertise to crack WGA. But, do you think that the person who cracked the WGA just hid the secret in his hard drive? Obviously not, he posted it on the internet, and before you know it, the crack has been propagated to countless hacker wanna-be’s. It only takes one person to hack DRM, everyone else can obtain it. Hackers love to share their hacked work. Whether it is to display their hacking abilities, or to show their hatred towards corporations like Microsoft, hackers simply do not keep to themselves. However, great news for Microsoft, the average person does not really know about the crack or how to implement it. So most people will still buy Windows at whatever price that Microsoft deems reasonable. But this does not come free of cost. DRM adds significant cost to the producers and consumers. Microsoft hires very talented (aka very expensive) programmers to create the DRM system. And they constantly update the DRM in response to cracks. But that is just a cat and mouse game that adds on cost for no additional control over infringement. What happens here is that the honest users who buy genuine copies are paying additional cost for Microsoft to develop technologies that attempts to prevent illegal distributions of its products. But Microsoft fails to generate any success in raising revenue. The DRM system does not change the number of people who would purchase the product. The honest consumers will purchase the product regardless of whether or not DRM exists. And the infringers will always find a way to go around DRM so they will not pay for the software either way. There is a deadweight loss for implementing the DRM system. Those most negatively affected by DRM are people with no intention of acquiring or sharing illegal copies of software. There is a major problem here. DRM is punishing honest users and it is not hurting copyright infringers. Want to win in this deal? Be a pirate. Unfortunately, it looks like the only winners in the DRM game are the pirates. They are enjoying their software for free, and they are doing so rather easily. There will always be bored smart hackers who want to show off their skills. With the rapid emergence of high-speed internet, file sharing is becoming increasingly easy and convenient. Software companies certainly are not doing the right things to prevent this piracy problem. The prices that the software products are offered are not affordable by majority of personal consumers. As an example, below are three of the most common and overpriced software products offered on the market. Although I am not a lover of the free market, I am a genuine believer. When offered price is greater than bid price, exchange is not going to occur. 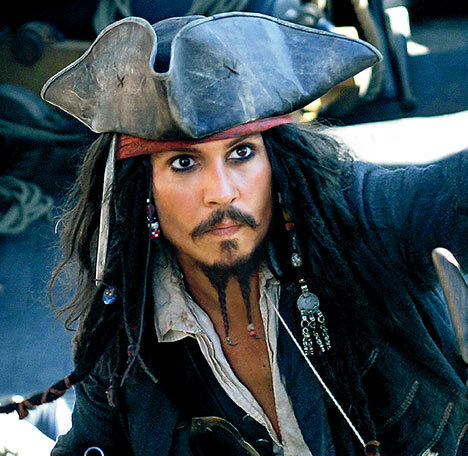 In the case of software, the alternative path of piracy would be chosen. Of course I am not actually encouraging people to pirate software. This is a message for software companies to help them prevent piracy. They must accept that piracy is here to stay. It is more important to minimize the scale of piracy. It should be obvious by this point that DRM is definitely not the solution. Pirates will continue their acts by circumventing the DRM. No U.S. congressional law can stop some boy in Norway from reverse engineering his DVD player. And it certainly is not going to prevent anonymous from posting everything that can screw over corporate America. Instead of spending money on developing more secure DRM, it would be wiser to use that fund to develop superior user experience to sell more products to the honest paying customers.